Trying to make sense of all online services and how they impact your business? 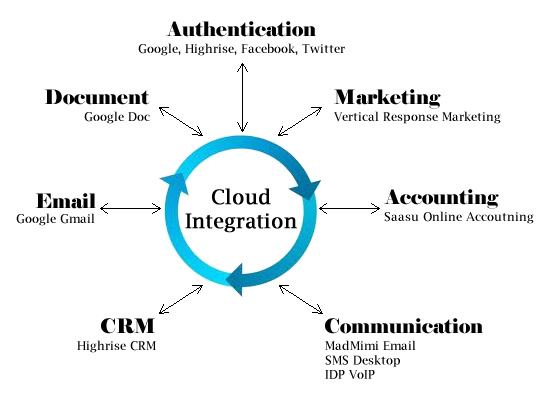 Cloud Integration Service is designed to help you understand available cloud services and how your business can benefit from them. Also, we can integrate them together to simplify and automate your business operations. We are in the process of launching a new solutions suite to help connect your business online services together.